We are very proud to be one of three finalists in this year's E-Prize in the Energy efficiency category. 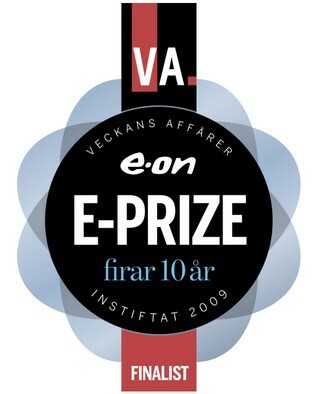 E-Prize is Sweden's largest energy price for trade and Industry and this year celebrates 10 years. The prize is established by Veckans Affärer and E.on. The winners will be announced at the Go Greentech conference in Stockholm on October 11th, and then the conference participants will also be able to vote for one of the finalists who receive the people's choice.